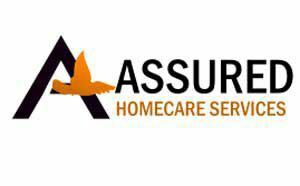 Assured Homecare Services is a homecare agency serving Maryland, we believe in providing professional and caring services that allow individuals to remain in the comfort of their own home with the assistance of a professional caregiver or companion. We strive to cater to those who need additional support and assistance while providing the security and assurance needed. We make every effort to provide high quality services with reliability and sincerity. We have highly qualified and fully trained caregivers who are ready to help you and your loved ones with daily activities such as light housekeeping, companionship, meal planning and preparation and medication reminders. Our skilled staff are ready to provide you, your loved ones or a friend with the following services: • Skilled Nursing • Home Health Aides • IV Therapy • Wound Care • Diabetic Teaching • Medication Education Direct Billing to Insurance Companies -Insurance & Private Pay Accepted -24 Hour Availability -All Inclusive Pricing -State Licensed as a Residential Services Agency -Insured and Bonded . Whether it's a disability, a little fragileness, or simply a need of support to sustain independence or safety, call 240-764-8357. Assured Homecare Services will make certain that you or your loved one receive compassionate, affordable, and reliable care.